Air Niugini will commence twice weekly air services between Port Moresby and the Federated States of Micronesia (FSM) from 03rd December 2016. To test the market, three special flights have been planned to operate to FSM before the scheduled passenger services commence. The first of the three special flights operated yesterday( Thursday 01st September) from Port Moresby to Chuuk and later Pohnpei before returning to POM. It took 2hrs and 40 minutes to reach Chuuk and an hour across to Pohnpei before coming back to POM. Most passengers on board the flight were Australian divers; about 50 of them who got off in Chuuk, the rest were individuals attending the Pacific Islands Forum(PIF) and businessmen based in Solomon Islands. The next special flight will operate on the 07th September to uplift delegation for PIF. Once the scheduled passenger service comes into effect from December, Air Niugini will be operating two return air services a week, every Wednesdays and Saturdays from Port Moresby to Chuuk and Pohnpei. 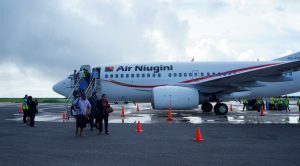 This also means, Air Niugini will be able to carry domestic passengers twice weekly between Pohnpei and Chuuk. The establishment of direct commercial flights between PNG and FSM is a result of an Air Services Agreement between the Governments of Papua New Guinea and the Federated States of Micronesia. The direct service to FSM represents a major expansion of Air Niugini’s presence in the Pacific region, and especially the role of Jacksons International Airport as a major “hub” for the Pacific region. These flights enable passengers between the Pacific, Australia, Indonesia, Philippines and FSM to connect through Port Moresby, saving considerable time and airfares. The extensive upgrading of Jacksons international terminal by the National Government has been a major factor in enabling Air Niugini to expand the airline’s regional international services. The arrival and departure, and transit facilities at the international terminal are now world standard and fully capable of handling a significant increase in passenger numbers. Air Nuigini will work closely with the FSM government and the tourism industry to promote the growing tourist opportunities that PNG and FSM offer, including “stopover” and two-centre opportunities for visitors to experience both countries. Another major factor enabling the establishment of direct regular services to FSM has been the successful introduction of the Fokker 70 aircraft into Air Niugini’s fleet as a central component of the K700 million fleet upgrading and replacement program. The F70 aircraft is well suited to servicing regional routes – such as the FSM – because of fuel efficiency, a longer flight range, a capability to cruise at higher levels, and a passenger capacity that is more suitable to meet the passenger demand. 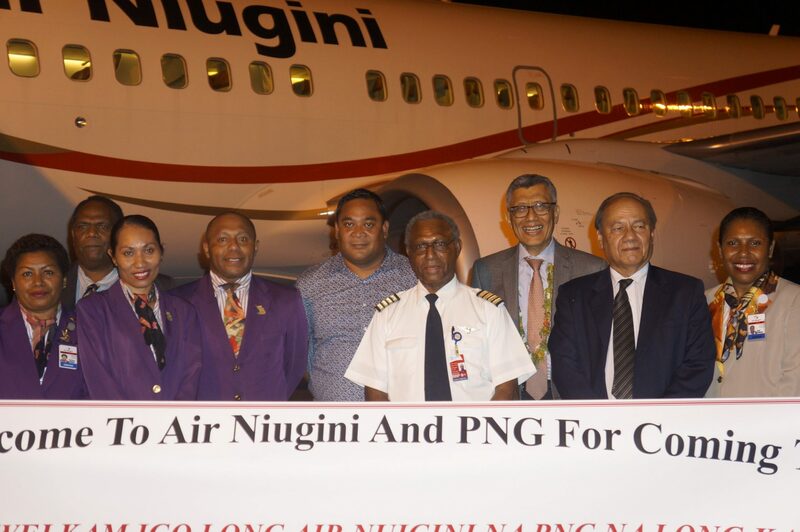 The establishment of twice weekly services between PNG and FSM is an important development in bi-lateral relations between the two Pacific nations, and an important step for Air Niugini as it pursues its regional growth strategy. Federated States of Micronesia is located in the Northwestern Pacific. It is one of the most remote and beautiful tourism spots in the world with a lot of activities to offer. It is made up of 600 islands with Chuuk and Pohnpei, the two most populated states.